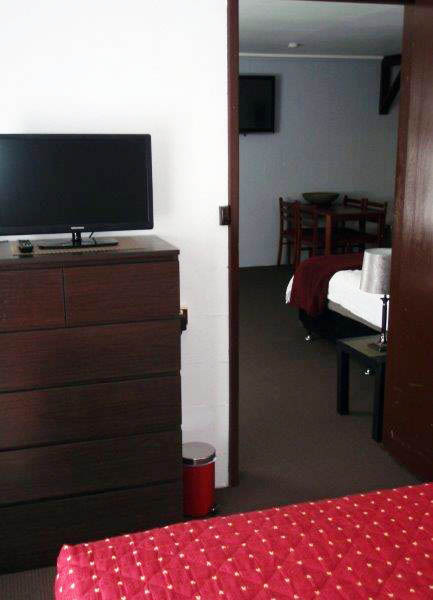 And of course a very large flat screen TV on the wall. 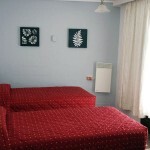 The second bedroom is off the main room and provides two single beds. 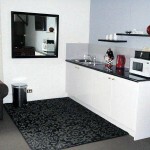 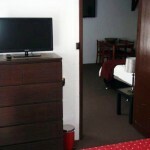 Own private TV with a built in DVD player in this room type. 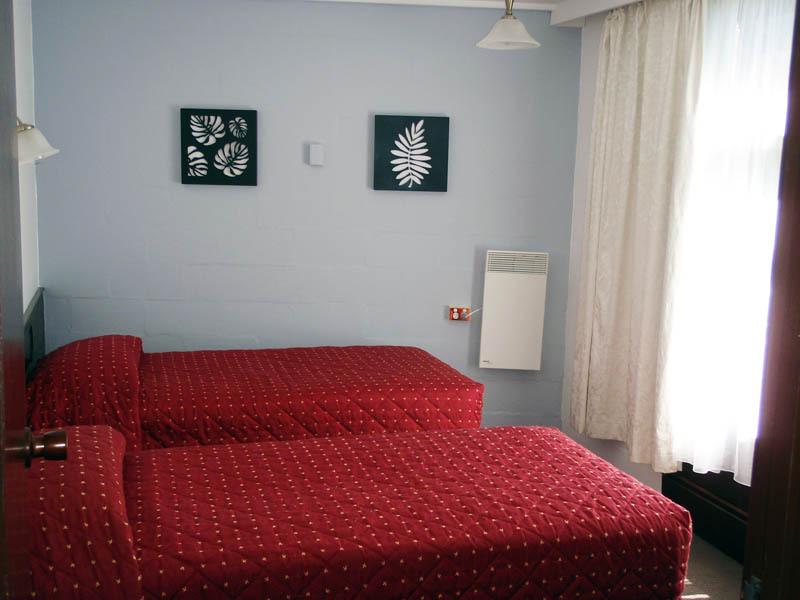 All beds have new linen, blankets and electric blankets. 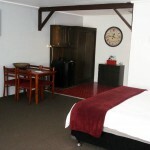 The private ensuite is again located off the main room and consists of a shower over bath, hand basin and toilet. 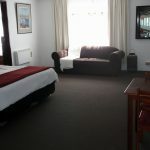 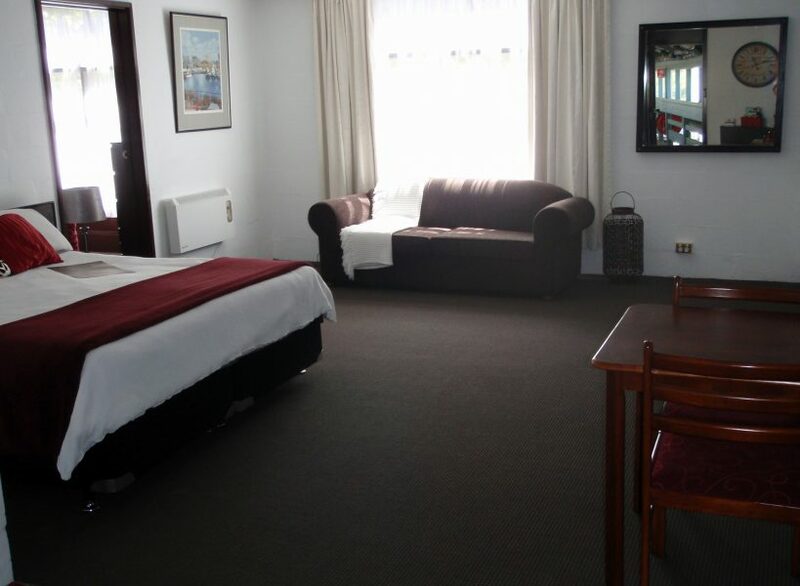 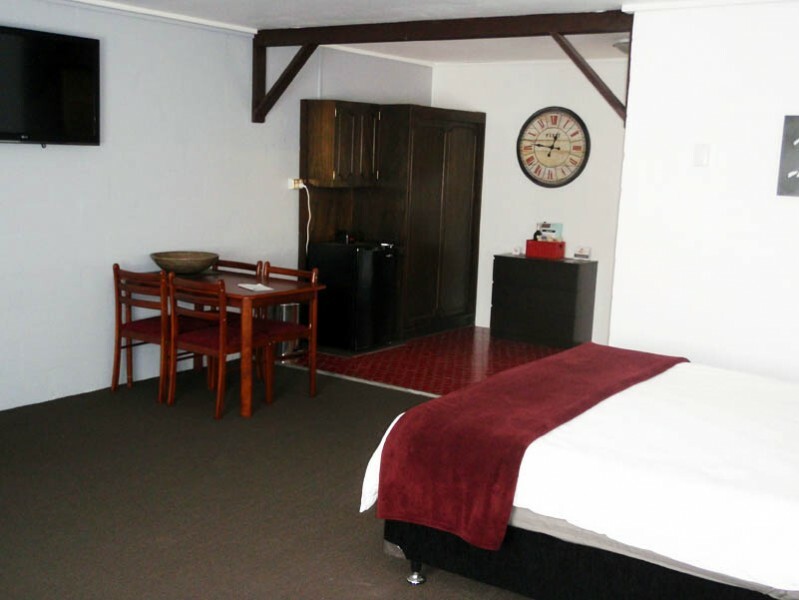 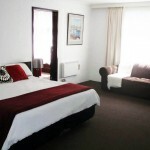 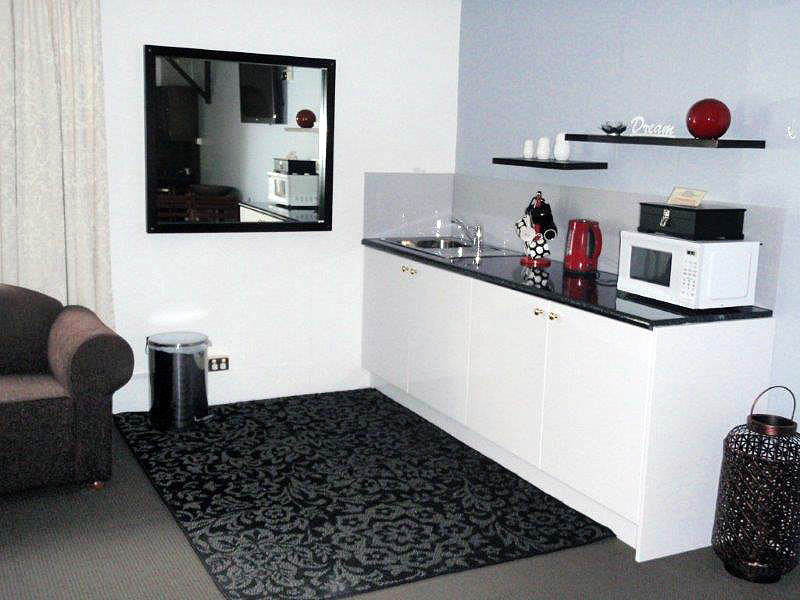 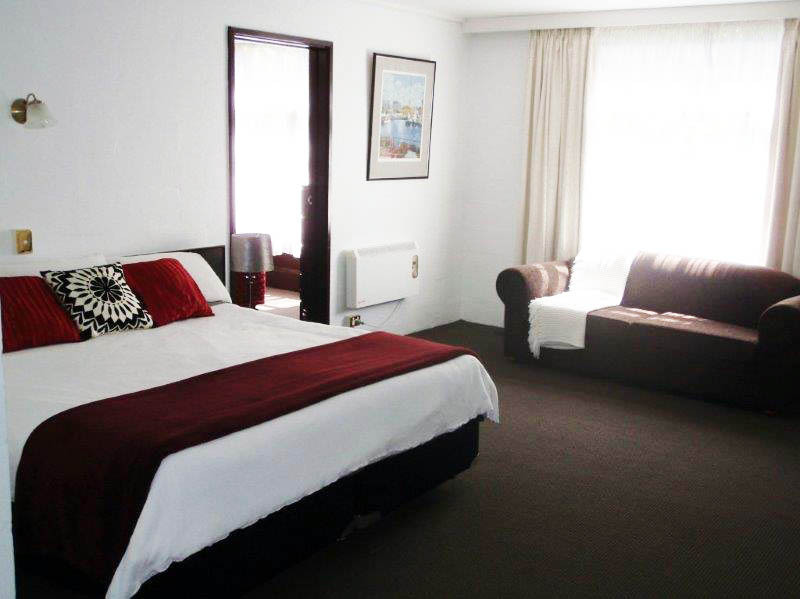 This room has a lovely outlook over the back garden and creek and is surprisingly large for a motel room.